One of my favorite things about summer is that I have more time to read- with more lounging time by the pool or beach, in planes, or just before bed. 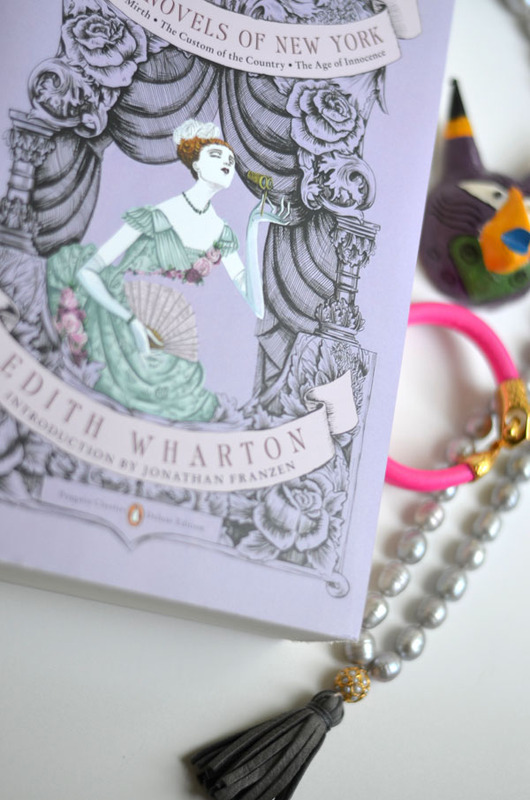 I was starting to think about what my next reading adventure should be when a post by Jennifer from the Pink Pagoda led to me to this post about Edith Wharton's home. And I was instantly smitten- aside from being a pulitzer- prize winning novelist, she was also an interior designer and considered as a taste-maker of her time. A few emails back and forth with Jennifer and I was convinced I had to read The House of Mirth, her favorite. Have you read it? I love classic novels and somehow I had missed reading it. 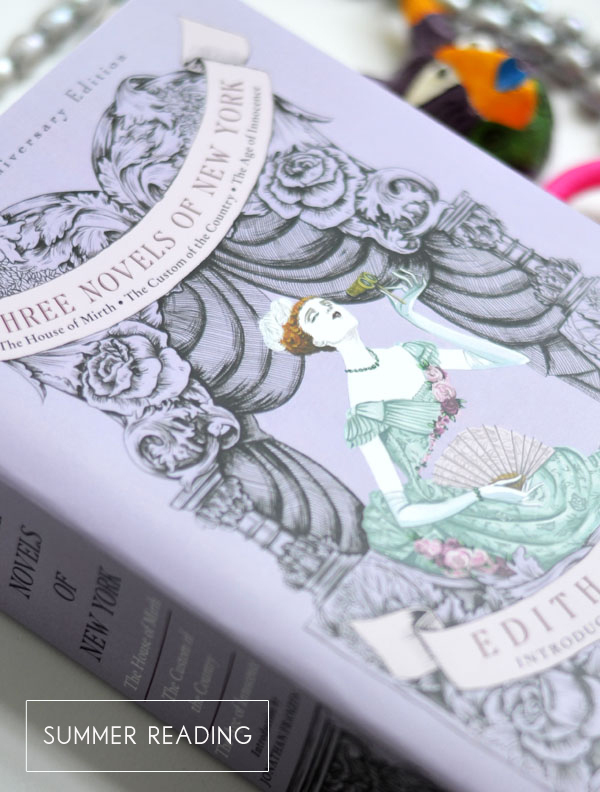 A few hours later this gorgeous purple edition of three of Edith Wharton's novels was in my hands. How lucky am I to hold this beauty between my fingers while I enjoy such good literature? I'm not that far in, but I'm loving it- the drama, the scandals, the fabulous conversations. It's really good. What are you currently reading? And what are your favorite classics that you would recommend? I would love to add your recommendations to my reading list. Ooooh - I'm a reading fanatic and I haven't read this novel which means I'm one click away from buying it on Amazon. Have you read the Bronze Horseman trilogy? I just finished it for the second time because I love it so much. What a pretty book, Albertina! I love to read but I haven' reread any classics in a while. I am starting "The Son" this weekend. what a pretty book! i may have to get it and read it and then put it on the shelf to look pretty! I haven't read that in forever. I think I should pick it up again! Thanks for the reminder!! I want to look into this! I'm always looking for new books to read. I LOVE the cover of this though. It's gorgeous. I would love to frame that or something. :) Thanks for sharing!